2 Bedroom, 1 bath one block to the best beach and a short walk to the Malecon. One block to the best beach, short walk to the Malecon for shopping, restaurants, fresh fish and Shrimp. Great location for the Baja 250, Baja 500, Shrimp Festival, Carnival weekend, Craft Beer Fest etc. Just on the other side of the light house from the Malecon behind Kiki's Camp and Rubens Camp. No long drives to Highway 5 ( which can take 15 to 20 minutes to El Dorado Ranch, Pete's Camp etc.) 2 bedroom (1 queen and 2 double beds) 1 bath with toilet, sink and shower. Full kitchen, dishwasher, full size refrigerator, propane stove/oven. Full service kitchen, everything you need is here for staying at home and cooking in. Very large patio with waterfall. Patio is about 800 square feet for entertaining with views of the ocean and great sunrises. Full size washer and dryer. Full time property managers. House is secure and safe. Full time neighbors attached that know all the in's and out's. Air conditioning units in every room. Very Large patio area with waterfall. We enjoyed our stay. It had everything we needed. Great patio & could walk to beach. This property really is everything that the listing promises! Our whole experience was A+++. Communicating with Jana was a breeze. We will definitely be staying here again in the future! 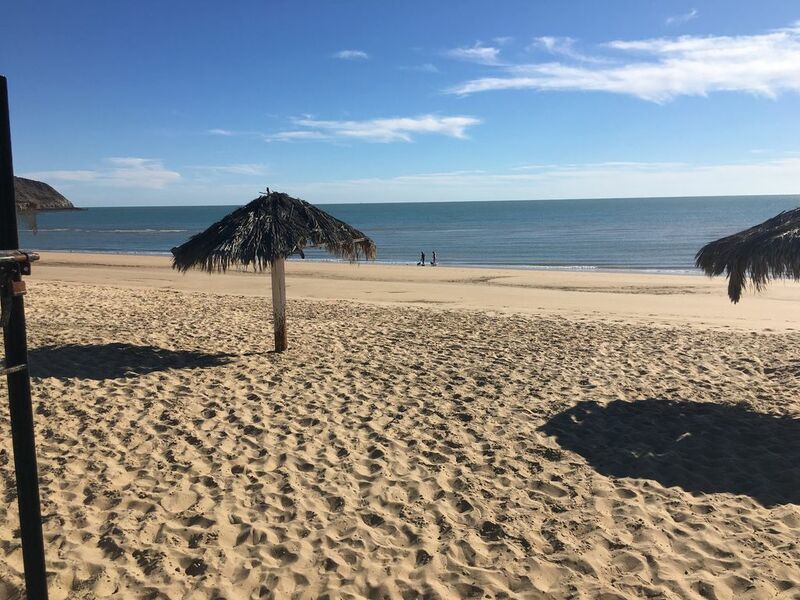 We enjoyed the peace and quiet in San Felipe, Mexico. The accommodations were what I had expected. The property was great. We would come back again. Was perfect for our stay. Great patio! Short walk to beach, easy walk to town, very clean and comfortable. Great communication with owner. Fully equipped, lots of dust. This is fully equipped house, very adequate kitchen supplies. Lots of room for 2 people. The place could have been a little cleaner upon arrival. Lots of dust collecting items in house, causing it to feel a little stuffy. One block to beach was convenient. Felt secure. A $65.00 cleaning fee is required at check in to the property manager Alicia in CASH dollars. Check in is at 4:00 pm and check out is at 11:00 am. I am flexible with these times depending if I have people checking in and out on the same day. It is about a 2 1/2 hour drive from Mexicali and I will provide you with Alicia's phone number so you can call before you cross the border and she will meet you at the house with the keys.